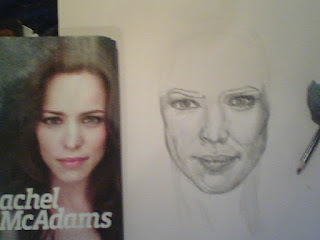 A good while back, I guess it was during the summer, I was just sketching out some drawings on newsprint for practice and saw a picture in a magazine of actress Rachel McAdams and thought, "Hmm, I could make her Catwoman!" So that is what I did. Well, that was fun! 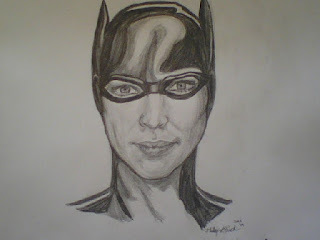 (Catwoman belongs to DC Comics of course) Thanks again for stoppin' by! See you soon, God Bless!